With the 3DS printing money, Iwata staring at fruit and veggies, and Nonspecific Action Figure giving his seal of approval, you know that the E3 Nintendo Direct is days away! The hype train has left the station and is well on its way. Many fans of all video game persuasions are excited as all get out! Some details are already trickling out as though the floodgates of E3 can no longer handle the strain. IGN itself has been spearheading the news about Sega’s newest Sonic game, exclusive to the Wii U, Lost World. With the latest video demonstration, the game looks very promising! Capcom has a game I’m personally excited for, Ace Attorney: Dual Destinies, that will be releasing soon! Take a look at the newest trailer from the land of the rising sun! 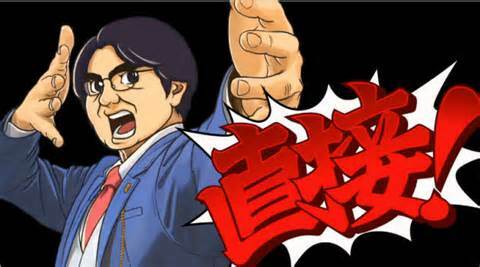 If you’re an Ace Attorney fan, you can’t help but have your excitement levels go over 9000! Nintendo is getting ready to fire the big guns! Super Smash Bros. has been confirmed to be in waiting for us along with the super secret Retro Studios project and other goodies. What are you most psyched for in the next week? Flawless Gamer Are YOUR Bodies Ready?